I love to read. Don’t get me wrong. It’s not because I love the feeling of “curling up with a good book.” That’s fine, I guess. But my personality does not really lend me to a curling up kind of guy. I love it because I feel like reading pushes me. It makes me think. It inspires me to push harder. But sometimes it’s hard to recommend books because your need depends on your area of interest or need. So I usually default to some of the books that I have enjoyed lately. That’s cool…but I thought it might be helpful to break it down via “area of interest.” So here are some sales books that I have loved… 1. 7 Habits of Highly Effective People: You might be saying “but this is not a sales book.” You would be wrong. It’s a “better human” book. 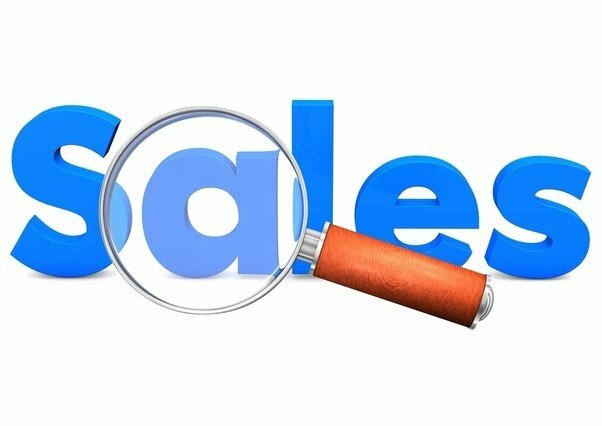 If you follow these principles, you will be a better sales person. Period. 2. The Ultimate Sales Machine: I loved the overall sales process that Chet Holmes outlined in this one. It inspired me. And if you look at the life of selling results (regardless of industry) Chet had the goods. 3. High Trust Selling: This is a book I have talked about before in this blog. I love the concept of the 80/20 rule of sales that Todd Duncan lines up in this book. For me, this is when I took the “next step” in my sales career and hired an assistant. It was a leap of faith for sure. And I took it because of this book. 4. Influence: The Psychology of Persuasion: If you want to affect people’s behavior, you need to understand their psychology. Why do we do what we do? This book, originally written as an academic text for psychology, has become a sales “must read.” 5. The 10X Rule: If you need a red bull style kick in the pants, Grant Cardone has you covered. I love goals. But Cardone takes it to the next level. I listen to this one and he gets me fired up to attack the day. 6. Fanatical Prospecting: This book was another book that really grabbed me by the collar. It tells you things that (as a salesperson) you might not want to hear…but you need to hear. If you want to have more sales, you need to do Fanatical Prospecting. 7. The Sales Acceleration Formula: This is one that taps in the science of the sale when it comes to the basics of content marketing. From one of the early leaders at Hubspot, this one will make you think of your sales process…and how to turn it on its ear. This is hardly an exhaustive list. But there are some really good ones here that have inspired me at different times on my sales career! What are your favorite sales books? Let me know! Make sure you never miss an update! Sign up for the VIP newsletter here and we send out a weekly wrap up of everything!